This post is a throwback to one of the first blog posts I wrote almost 6 years ago (yikes!). 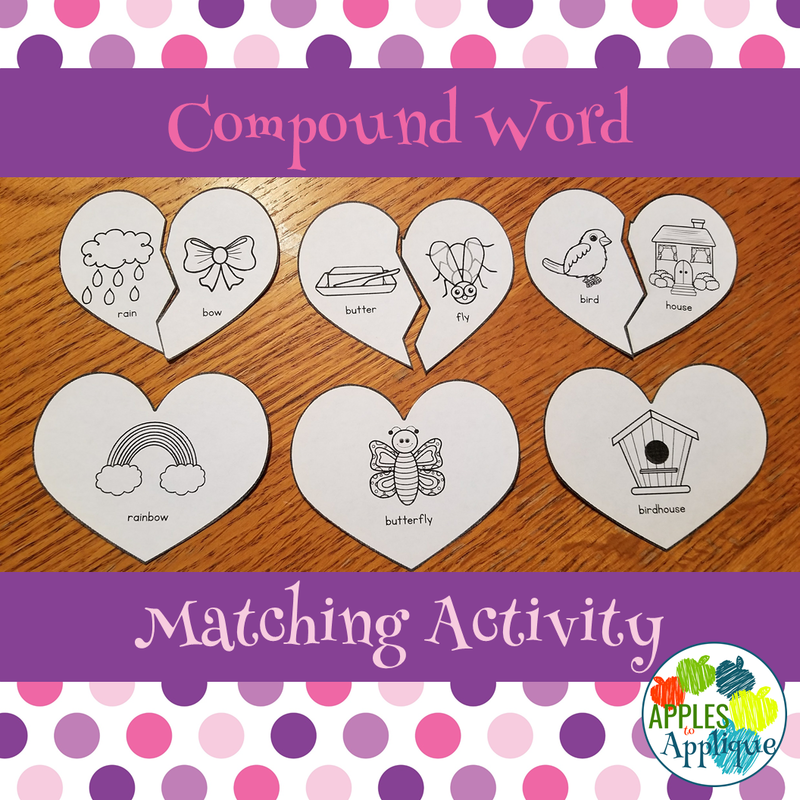 In it I described how to make a fun compound word activity with broken hearts. Making activities is always fun, but let's be honest, most of us teachers just don't have time to make all the cute Pinterest activities out there. That's why I finally created this game and listed it in my Teachers Pay Teachers store! 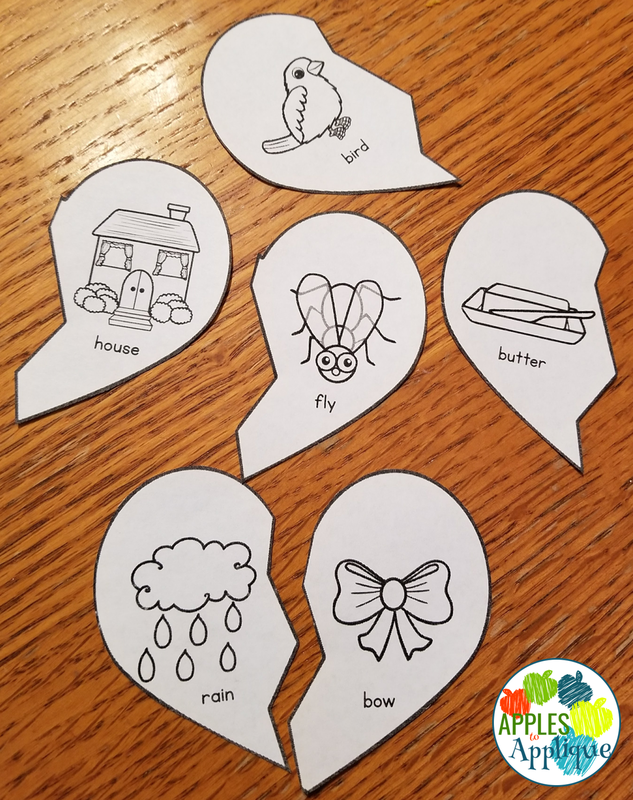 As both a SPED and Reg-Ed teacher, I have such a variety of ability levels in my classroom, so I always love to include easy options for differentiation in my activities. This game is no exception. There are a few options for this game. It is versatile enough that it can be an independent word work or literacy station for learners who are ready for it, a small group or guided activity for those who need a little scaffolding, or even a large group activity to get everyone in on the action. For lower level learners, give them both the broken pieces and the whole "answer" hearts. They can work on their print awareness by matching the printed words. 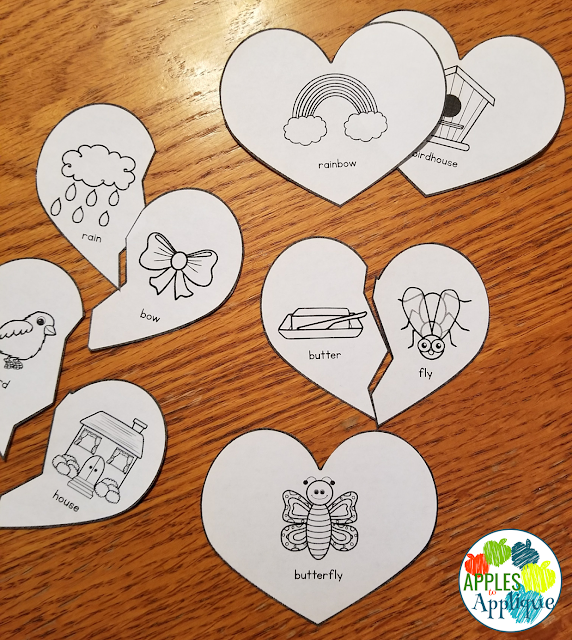 For higher level learners, omit the whole "answer" hearts and give them only the broken hearts, so they have to use more higher order thinking skills, instead of just matching. For whole group play, distribute all of the broken heart pieces and have students find their partner. This could be done without the whole hearts, or by having the whole hearts on display at the front of the room; partners have to go stand by their whole heart when they have found each other. Grab this game here, and leave me a comment to let me know how you use it in your classroom!